Red tide has hurt our business. 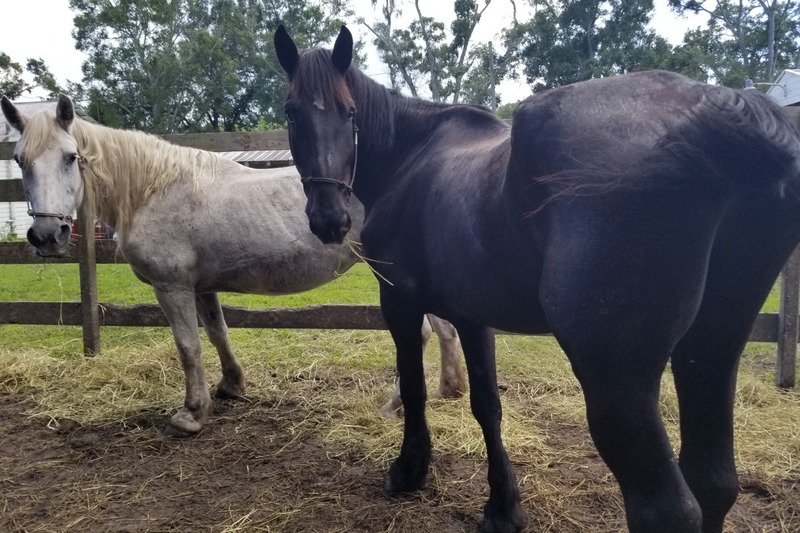 We are asking for help for these two guys that we picked up last week.. we have rehabbed many horses and never asked for help, Using founds for our business to rescue many. These two our in rough shape but with some rehab will become wonderful horses. We picked them up from I pony bussniss that saved them from slaughter. The prior owners did their part with helping them but soon realized they could not afford the piling Bills. So asked us if we wanted to purchase them. We said we could get one but got there and could not leave the other both were so sweet and just need good care and TLC. We know we can get them Back to goid health. Now with the red tide our founds our tight and so for the first time ever asking for our friends and the communities help us in our effect to rehab these beautiful creatures.